Description: Kentucky would benefit from the creation of an electronic commonwealth, or e-commonwealth. Rethinking government for the digital age would deliver more efficient services, save taxpayers money, eliminate unnecessary bureaucracy, and stimulate job creation in Kentucky’s technology sector. Description: This session will introduce the Art of the Rural and the Kentucky Rural-Urban Exchange. Art of the Rural is a national organization that advances rural culture and quality of life through relationships that connect communities, cultivate dialogue, and forward rural-urban exchange. The Kentucky Rural-Urban Exchange (RUX) is a statewide program that assembles a diverse cohort to explore commonalities, deepen connections to people and places, and collaborate towards place-based innovation. Founded in 2014 by Art of the Rural and Appalshop, the mission of the Kentucky RUX is to grow relationships across divides to build a more collaborative and connected Commonwealth. The Kentucky Rural-Urban Exchange strives to teach by doing, exploring frameworks for collaboration so that the processes that help the cohort build relationships also teach them how to strengthen their own communities. 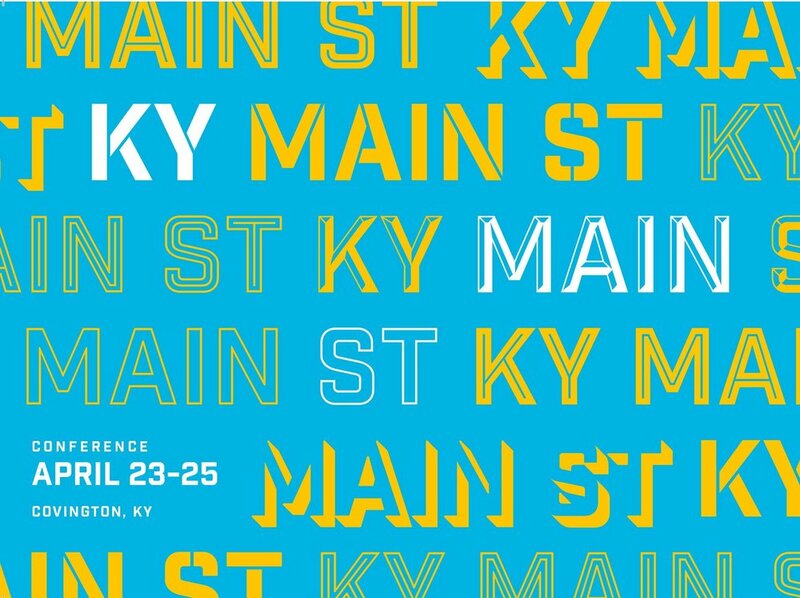 This session will engage Main Street Conference attendees in a storycircle focused on community, connection, and belonging. The session has a limited capacity of 25 attendees. Description: In this session, attendees will learn about and see examples of community engagement strategies used to build capacity focused on supporting the assessment of community success indicators. As we think about the next 40 years in Kentucky, let’s prioritize strategies that empower communities to utilize engaged processes - building leadership and ownership - to collect data and cultivate successes stories with numbers that matter. This review of downtown success indicators will summarize characteristics of successful downtowns described in contemporary urban planning, downtown revitalization and business development literature as well as examples of processes to ‘get at the numbers’. Description: This session will provide participants with a community- building toolkit that includes powerpoint slides, videos, tips, surveys, meeting agendas, and best practices for building your local creative economy, and expanding your partnership and support networks. Learn how participants in AIR workshops held in Kentucky, Ohio, Virginia, South Carolina, and West Virginia have used these resources to create cross-sector collaborations and implement community and economic development efforts that embrace the value of the arts and creativity. AIR programs teach design thinking, business planning, and entrepreneurial spirit using the latest business development strategies and tactics such as fast prototyping and lean startup principles. Panel Discussion: Joe Klare, Vice President, Real Estate Finance and Investments for The Catalytic Fund & Jeanne Schroer, President/CEO of the Catalytic Development Fund Corp. Description: A look at the challenges of financing small real estate developments, and the strategies and tools your community can use to overcome them. Expect to learn about tax credits, loans, grants, and other tools that can make a difference in your community. Real world examples will demonstrate how creative financing strategies can help to overcome financial gaps and execute catalytic projects. Description: The session has been tailored to address concerns by the audience of Main Street program members for the last several years. Each presentation reflects the latest concerns and questions posed by attendees. Focus points include the difference between strategy and tactics, the critical differences between advertising and marketing, using the marketing equation in your messaging, using the Pareto Principle/80-20 Rule to build/strengthen your base, choosing impactful target marketing strategies, and I use real world experiences to make the lessons stick. We'll cover these points and more in this fast-moving program geared to deliver tactical tools a small business can start benefiting from immediately. Speakers: Tracy Stokes, founder of TraSpeaks, LLC; the MTSS Collective; and Young P.E.A.R.L.S., Inc. Description: This session encourages attendees to activate their voice and tell their story! We will discuss how story can break down barriers and inspire others to HOPE. Many times we don't think of our story as the catalyst that will spark change and open dialogue. Through stories, group work, and lectures, we will dive into the topic of diversity and inclusion in a unique and memorable way! Description: China does not have by-passes or big box stores; people live in dense urban areas above shops. Their shopping and life happens on the street. Size of shops, products sold, parks, green space, bikes, walking, and art create their living environment. Speaker: Keyu Yan, Urban Designer at Human Nature, Inc. & Ryan Geismar, Senior Landscape Architect at Human Nature Inc. Description: One of the biggest challenges for street revitalization is parking! Parking and the Human Spaces on "Main Street" are unnecessarily conflicting but the topic of parking is truthfully influencing many decisions on street revitalization. Oftentimes, people are facing the choice of what they are used to, versus what they would love to be used to. However, times are changing. Automation, including the driverless future, is happening no matter who is used to it. It is time for "Main Street" to take on the challenge and prepare for the future. The presentation is a discussion through the lens of a range of project examples about street revitalization. Through the different processes and commitment from the community, we hope the discussion will bring some inspiration for future Street Revitalization. Description: The local food scene has grown exponentially in the last five years, and farmers markets have proliferated in many urban and rural areas. Unfortunately, the term "farmers market" has come to be meaningless without the due diligence of committed management. Fortunately, by aligning with the Main Street values, farmers markets can re-energize communities, and reclaim what real, local food means.